C-OPS (Compact-Optical Profiling System) is a radiometer system for determining apparent optical properties in aquatic systems. It consists of two 7 cm diameter radiometers: one measures in-water upwelling radiance, and the other either downward irradiance or upward irradiance, pressure/depth, and dual axes tilts. Both radiometers are equipped with up to 19 optical-filter microradiometers (selected from 29 different wavelengths)and are mounted on a unique free-fall, kite-like backplane. To avoid influences from the shadow of the boat or dock, the backplane can be optimized for either slow descent rates for work in very shallow (e.g., 3 m) and coastal waters, or faster descent rates for observations in the open ocean. C-OPS is so lightweight it can be hand deployed by almost anyone, and the system can be operated from either small or large vessels. 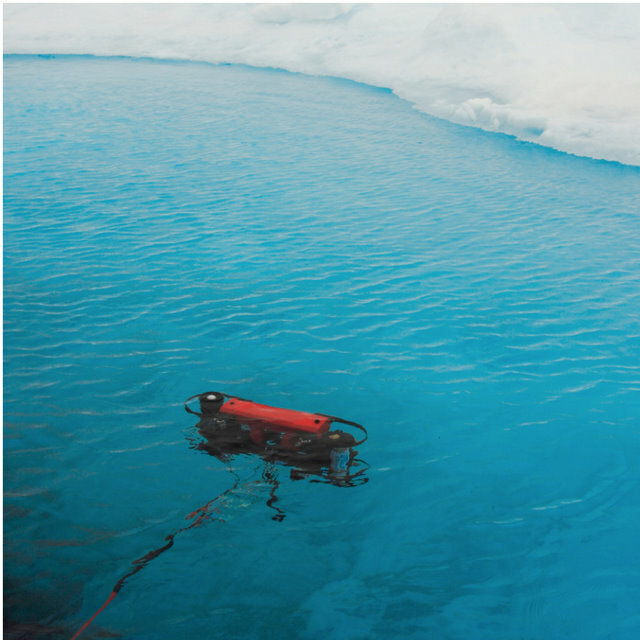 An above-water surface reference instrument is also available to measure global irradiance. Click here to download brochure. Ideal for ocean color, satellite calibration and validation, and shallow or deep water research. Highlighted in NASA’s Ocean Ecology Science Research Portal in the Instrument Development section. Click C-OPS to be taken directly to the Portal page. Click here for the chapter dealing with C-OPS from the NASA Technical Memorandum "Advances in Measuring the Apparent Optical Properties (AOPs) of Optically Complex Waters," NASA Tech. Memo. 2010–215856. C-PrOPS: The adddition of a Compact-Propulsion Option for Profiling Systems allows a C-OPS profiler to be maneuvered similarly to a remotely operated vehicle, allowing the system to be dynamically positioned away from a boat or shoreline and into the desired sampling location.